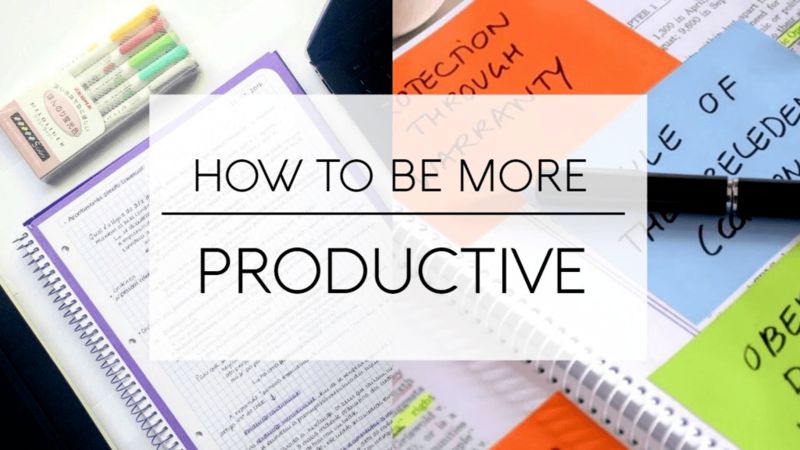 >> To Be Your Most Productive, You Need to Set the Right Goals! Many business owners begin the week with good intentions, then fall into a pattern of slipping behind. Soon, they’re ending every day feeling even more overwhelmed than the last. The outcome generally involves too much stress on the individual and unnecessary strain on the business, too. So, here’s how you can develop more self-awareness in your work and be more productive. However, productivity doesn’t look the same for everyone. Self-awareness is the key when it comes to actually get stuff done. Develop that, and you can use it to create a blueprint to structure your day. To cultivate this kind of self-awareness, start by taking a hard look at the behaviour patterns that motivate you as well as the ones holding you back. OKR, is only goal setting method in the world that is proven to help reach your goal in less than 3-month! Download your FREE OKR EBOOK, the designed especially for 10X growth and success! Are you really good at digging into deep work in the afternoon? Or are you all about checking off small items as soon as you get in? Knowing when you naturally tackle different types of projects will enable you to prioritize tasks and plan your day in a way that drives you to produce your best work. Look not only at the when, but the how behind your work. Do you need to put all notifications on do not disturb? Do you have set times when you need to take breaks? As an entrepreneur, you aren’t going to have the same built-in structure that might otherwise plan your day. It’s up to you to identify the right structures, put them into place and communicate them to others. The next step in turning productivity into a sustainable habit is to set daily goals that take advantage of how you work best. 1. Aim for a target you can hit. It’s extremely counterproductive and damaging to set unrealistic expectations and then fail to attain them, day after day. Rather than tackling what could be accomplished, you’ll end up spending valuable time stressing about all the things you never got around to doing. Even an achievable list can seem daunting when it contains so many possible start points. Eliminate the decision paralysis: Schedule beforehand when you’ll tackle each task. Use your newfound self-knowledge to identify which times of day you’re most effective. Plot breaks as needed and communicate your plan to your team. Making yourself available when you’re at your best is better for everyone anyway. 3. Build in accountability checks. Check in with yourself throughout the day to take stock of what’s working and what’s not. This check-in process also should take place at the end of every month and quarter to measure your longer-term goals, both personal and professional. You need to make sure you’re headed in the right direction. Even the most disciplined entrepreneur can benefit from an occasional external gut-check. Think about colleagues and peers you confide in, and how well they know your goals and challenges. Set Yourself The Right Goal and Work Towards It. Come up with a plan, and act on it. Use OKR Methodology to set attainable goals and reach those goals in no time. OKR is the best goal setting methodology designed for 10X growth and success! We at Talentcap are giving you a FREE OKR EBOOK to help you learn the method to reach your dream. OKR has helped moguls such as Bill Gates and Larry Page to reach personal growth and success and reach their life goal. Click the button below to register for your Free EBook now. We will send a FREE COPY OF YOUR OWN OKR EBOOK that we guarantee will help your business to 10X its sales and grow bigger and faster! What you wait for then, hurry up and sign up for your own OKR EBOOK copy. Also, gives us a thumbs up if you like the article and feel free to share and follow my blog for more updates, stories and similar articles.